Surface Technology expands capability to service international customer baseWorld leader in surface coating and metal finishing, Surface Technology, continues its expansion programme with the launch of a new Armourcote Hi-Tech Industrial Coatings plant in Jandakot which was officially opened on Friday. L to R: Victor Bellanti (Chief Executive Officer, Norman Hay Plc), Mark Huxley (General Manager, Armourcote Hi-Tech Industrial Coatings), Mayor of Cockburn Logan Howlett, Peter Hay (Chariman, Norman Hay plc) and Andrew Courtney (group Sales and Marketing Director, Surface Technology) Following Armourcote Hi-Tech Industrial Coating’s recent integration with Surface Technology, part of Norman Hay plc, the Group has invested in a larger, purpose built facility in Jandakot. The new 2,000m² plant is equipped to provide a wide range of surface preparation, specialist engineered coatings and paint systems and offers three new Australian compliant coating spray booths. The move places the business at the heart of Western Australia’s oil & gas, mining and quarrying industries; the key markets for the specialist engineered coating solutions it provides. The official opening of the Jandakot site took place on Friday, and was opened by the local Mayor of Cockburn, Logan Howlett; an ambassador for local projects. 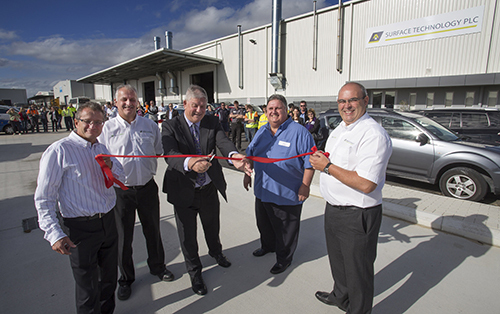 Mark Huxley, General Manager of Armourcote Hi-Tech Industrial Coatings said: “We are all really excited about the move to the new site; it’s great for the business and for the community of Jandakot. 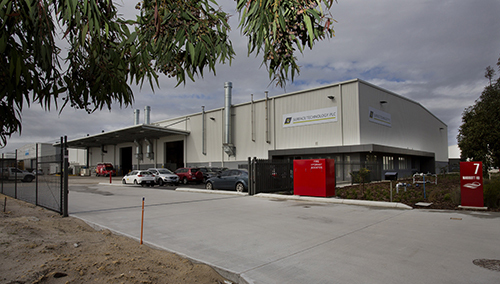 The larger site and convenient location allows us to provide an even greater range and quality of service in surface treatment and coatings to Western Australian industry.” Surface Technology has also recently invested in a new site in Dubai providing a range of thermal spray coatings to meet increasing demand in the oil & gas and manufacturing sectors. Jim Davidson, Regional Director of Surface Technology Scotland and Middle East added: “This is an exciting time for the business as we expand our global portfolio in response to growing business demands. As well as the new sites in Western Australia and Dubai, we have also opened a new dedicated office in China this year. “This strong global presence positions us well to serve our international customer base and creates a platform from which we can access fast-growing markets. It enables us to build and sustain close relationships with market leading customers’, helps optimise our position in supply chains and in developing solutions in partnership with customer wherever they are across the world. Surface Technology has more than 40 years’ experience in the development and application of high performance surface treatments for a wide variety of applications, with particular expertise in providing surface treatment solutions to customers in the aerospace, automotive and oil & gas sectors both within the UK and internationally.